Dzieła zebrane (The Collected Works) Carla Gustawa Junga to wielotomowa seria zawierająca większość z jego pism. Pierwsza angielska edycja została wydana w Wielkiej Brytanii przez Wydawnictwo Routledge, natomiast Princeton University Press wydał The Collected Works w Stanach Zjednoczonych, jako część Bollingen Series. Kolekcja Routledge ma ten sam porządek numeryczny. Fundacja Filemona zajmuje się wydaniem dotychczas niepublikowanych dzieł Junga w oparciu o wysokie standardy naukowe i tłumaczeniowe. The Red Book. Liber Novus, edited by Sonu Shamdasani, and translated by Mark Kyburz, John Peck, and Sonu Shamdasani (New York, W. W. Norton, 2009). Children’s Dreams: Notes from the Seminar Given in 1936-1940, edited by Maria Meyer- Grass and Lorenz Jung, translated by Ernst Falzeder with the collaboration of Tony Woolfson (Princeton, Princeton University Press, 2008). The Jung-White Letters, edited by Ann Conrad Lammers and Adrian Cunningham, consulting editor, Murray Stein. (London, Routledge, 2006). Jung Contra Freud: Jung’s 1912 New York Lectures on Psychoanalysis, with a new introduction by Sonu Shamdasani (Princeton, Princeton University Press, 2012). Jung’s seminar, Dream Interpretation: Ancient and Modern, edited by Maria Mayer-Grass, Lorenz Jung and John Peck, and translated by Ernst Falzeder with Tony Woolfson. 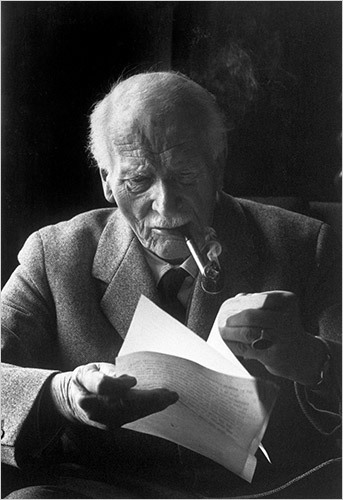 Jung’s 1933 Berlin Seminar, edited by Giovanni Sorge, and translated by Mark Kyburz and John Peck. Jung’s 1931 German Seminar, edited by Ernst Falzeder and translated by Ernst Falzeder with Tony Woolfson.